Save paper, reduce trash and conserve landfill space. 8 months is how much time Americans spend during their life opening junk mail. 100 million trees are leveled each year to provide paper for junk mail. 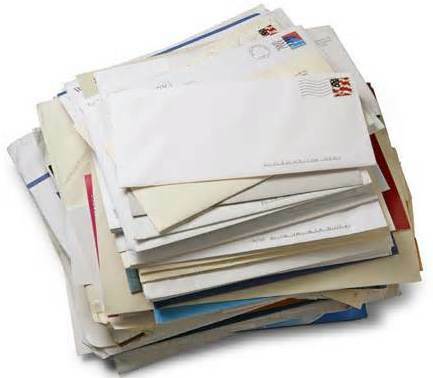 4.3 million tons out of 5.6 million tons of mailings generated each year are thrown in the trash. 340,000 garbage trucks are needed to haul away all the junk mail that is not recycled. Here are some steps to reduce junk mail.